Original 1956 CORVETTE CHEVY RING PINION 3.55 RATIO GEARS 8.4. Pinion part # 3736508 ring # 3735390 Condition is Used but like new. Shipped with USPS Parcel Select Ground. USED RICHMOND, 1956 TO 1962 CORVETTE, 1955 64 CHEVROLET, 3.55 RATIO RING PINION. 17 SPLINE PINION. 11TEETH PINION, 39 TEETH RING . GEVO`S REARS AND GEARS IS YOUR ONE. WE HAVE HUNDREDS OF USED AND NEW GEAR SETS . This is a used differential and is considered a CORE which may or may not need to be rebuilt. This diff should be inspected by a TRUSTED professional before installation. For sale is one used standard rear end differential. 1956-1962 Chevy Corvette. Corvette Application Rear Axle Shaft Bearing Retainer - GASKET. Corvette 1956-1962 Non Posi. Corvette 1957-1962 Posi. 1955-1957 Chevy 150, 210, BelAir. 1958-1964 Chevy BelAir, Biscayne, Impala. 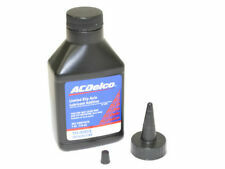 This will also work on 1956 56 1957 57 1958 58 1959 59 1960 60 1961 61 and 1962 62 Corvettes. This will also work on 1955 55 1956 56 1957 57 1958 58 1959 59 1960 60 1961 61 1962 62 1963 1963 and 1964 64 Chevrolet passenger cars. 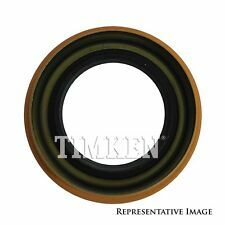 Timken Bearings 6818 Seal. Need to make a change?. Disclosure of Information Policy. Your credit card information is encrypted while traveling the Internet. For their protection, we ask that children do not submit information to us without the consent of a parent or guardian. Used - Original. We are here to listen. Phone Number. ( Just North of Seattle ), Washington. Timken Bearings HM88547 TAPER BEARINGSTAPER BEARINGS. Public Forums. Need to make a change?. Disclosure of Information Policy. Your credit card information is encrypted while traveling the Internet. For their protection, we ask that children do not submit information to us without the consent of a parent or guardian. Yukon Gear & Axle YK GM55CHEVY Differential Rebuild KitYukon Master Overhaul kit for GM Chevy 55P and 55T differential Yukon Master Overhaul kits give you all the high quality parts you need to start & finish every differential job. This kit uses Koyo bearings and races. Public Forums. Need to make a change?. Disclosure of Information Policy. Your credit card information is encrypted while traveling the Internet. For their protection, we ask that children do not submit information to us without the consent of a parent or guardian. 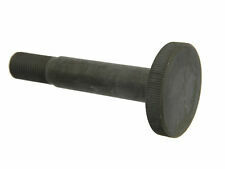 Here is an NOS 1938-63 Chevrolet 1956-63 Corvette Ring Gear Bolts #596529. I know the picture is blurry. The bolts have 5 notches on the top and what looks to be a "TR" in the center. Motive Gear 3110 Crush SleeveMotive Gear 3110 Crush Sleeve. Public Forums. Need to make a change?. Disclosure of Information Policy. Your credit card information is encrypted while traveling the Internet. Yukon Gear & Axle YT P22 The Yukon Carrier Bearing PullerThe Yukon Carrier Bearing Puller The Yukon carrier bearing Puller works with an impact gun to quickly and safely remove carrier bearings without damaging them. For sale is one used differential housing. Date Code: H 1 6 (August 1 1956). Used and NOS parts are sold as is. NEW REAR PINION SEAL. 1955 TO 1964 ALL CHEVROLET FULL SIZE PASSENGER CARS. 1956 TO 1962 CHEVROLET CORVETTE. THIS FITS THE FOLLOWING CHEVROLET VEHICLES THIS SEAL WAS MADE IN THE U S A. THIS IS THE ORIGINAL STYLE LEATHER SEAL. SKF 17727 Grease SealsSKF 17727 Differential Pinion Seal. Public Forums. Need to make a change?. Disclosure of Information Policy. Your credit card information is encrypted while traveling the Internet. Includes: Pinion Front & Rear Bearings, Side Carrier Bearings, Pinion Seal, Crush Sleeve, Ring Gear Bolts, Gasket & Marking Compound. Note: This gear set is not compatible with a factory 3.08 carrier . Public Forums. Need to make a change?. Disclosure of Information Policy. Your credit card information is encrypted while traveling the Internet. Yukon Gear & Axle 14073 Yukon Master Overhaul KitYukon Gear & Axle 14073. Yukon Master Overhaul Kit. Public Forums. Need to make a change?. Disclosure of Information Policy. Your credit card information is encrypted while traveling the Internet.